We know, it’s cold. But what’s a better cold-weather activity than sitting down, all cozy on the couch, or in a nice, dark theater to watch a movie? Not much. Some stellar films came out this holiday season, and there’s a ton of winter weather classics to keep you occupied and content when its cold and blustery outside. Starring Bill Murray in his comedic prime, Groundhog Day is a winter classic that celebrates, or mocks, one of the season’s most iconic holidays. Murray plays an arrogant, self-obsessed weatherman, who, during a Groundhog Day assignment, finds himself reliving the most boring day of his life, over and over and over again. At first, he’s confused and upset, but after he’s relived the day a few times, he decides to take advantage of the situation. 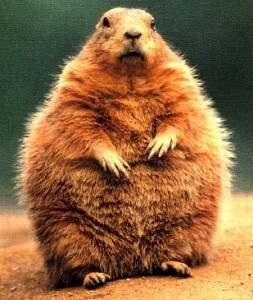 A funny, February classic that’s worth a watch before Punxsutawney Phil rears his furry head on February 2. 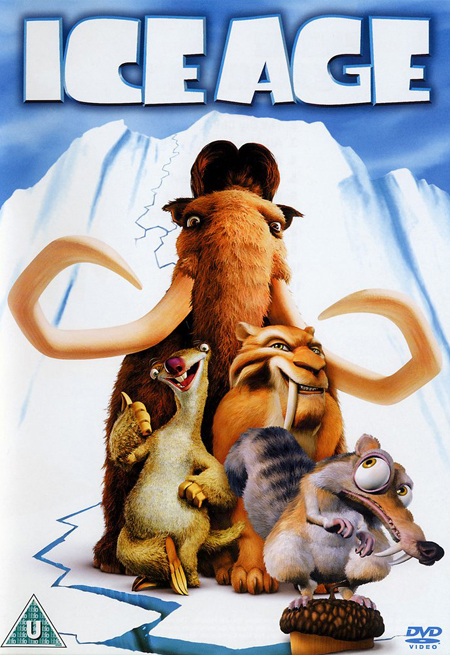 Set in the pre-historic days, Ice Age is an animated children’s film about, well, the ice age. Animals around the world are heading south to avoid the phenomenon, except a motley crew of soon-to-be friends – a sabertooth tiger, a clumsy sloth and an agitated wolly mammoth. They find a lost human infant on their journey up north, and they attempt to return him to his tribe. The movie’s a major laugh – for the young and old alike – which set in motion a series of three other hilarious children’s films. 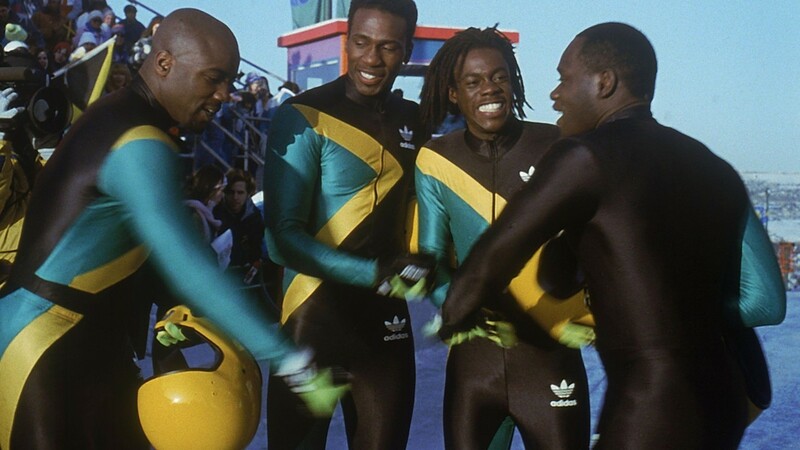 Cool Runnings is loosely based on the true story of a Jamaican bobsled team’s debut in the 1988 Winter Olympics in Canada. An improbable and inspiring story, Cool Runnings is a great winter film, about overcoming obstacles, working hard and having faith in yourself. 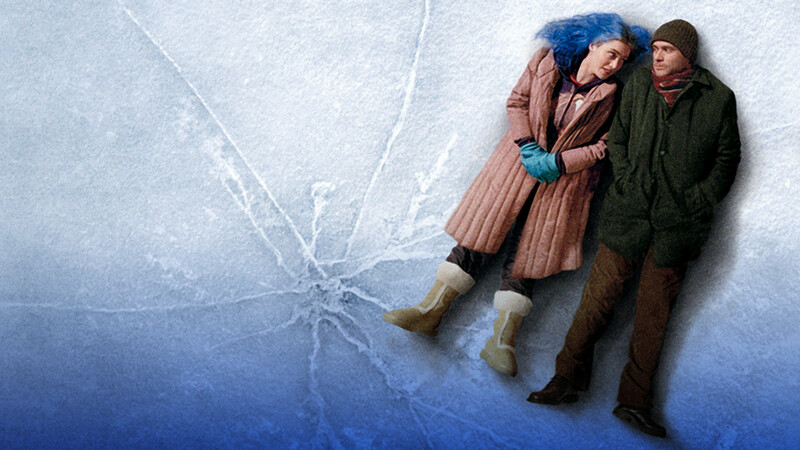 Eternal Sunshine of the Spotless Mind is a romantic, science fiction film that uses a nonlinear narrative to tell the story of an estranged couple who have erased each other from their memories. Since its release in 2004, Eternal Sunshine has developed a cult following, and it won the 2004 Academy Award for Best Original Screenplay. The film stars Kate Winslet, Kirsten Dunst, Mark Ruffalo, Elijah Wood and a uncharacteristically serious Jim Carrey. A definite winter must-see. 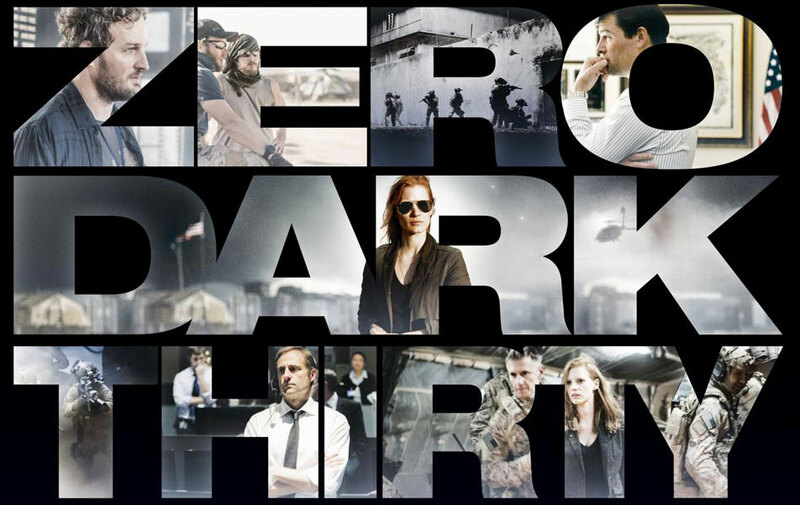 Zero Dark Thirty is a chronicle of the decade-long hunt for Osama bin Laden after the terrorist attacks of September 11th. It was released in December to wide critical acclaim, and has been nominated for 5 Academy Awards including Best Picture, Best Actress and Best Original Screenplay. It’s one of the many amazing films to put on your to-watch list before the Academy Awards in February. For a complete list of Oscar nominated films, visit the official Academy Awards website soon, so you can catch some of the winter releases while they’re still in theater before the awards. The turning trees of Vermont and New Hampshire might have a little something on our Texas vegetation this time of year, but a stunning quilt of colors can also be found in the Lone Star State, not too far from Kyle. The bigtooth maples, sumacs, sycamores, chinaberries and cottonwood trees of the Central Texas Hill Country offer a show of color this time of year to help get you into the feeling of fall. And, while you’re out there absorbing the colors and smells of the season, why not check out some of the many Texas wineries out to the west? From Austin to Fredericksburg and beyond, the Hill Country is fast becoming one of the most visited wine areas in the country, so, this fall, you can try some of the tastiest red wines in the state, or find the perfect gift for that wine aficionado on your list. In fact, the Texas Wine Trail is even offering a Holiday Wine Trail from November 30 through December 16th, which allows you to visit each of the 32 Hill Country wineries during the 17 days of the Tour to experience all the Texas Wine Country has to offer. Tickets to the self-guided Holiday Wine Trail are $60 for two and include one grapevine wreath to be picked up at the winery of your choice, one ornament from each winery visited, and a 15% discount on 3-bottle purchases from each winery. If you’d rather take things on your own speed, or if you don’t have the desire to try EVERY winery to the west, here are some vineyard groupings for you to check out, depending on how far you want to travel. Closest to Kyle are the wineries in Driftwood – the Duchman Family Winery, the Wimberley Valley Winery and the Driftwood Estate Winery. Wimberley Valley is closest to Kyle just 20 minutes west on FM 150, and Duchman and Driftwood Estate are a close jump away. 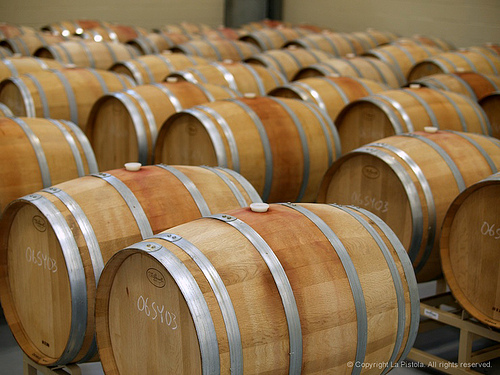 Each winery’s tasting room is open daily, so any day a week you can sample some delicious vino. Just be sure to check their websites for hours. 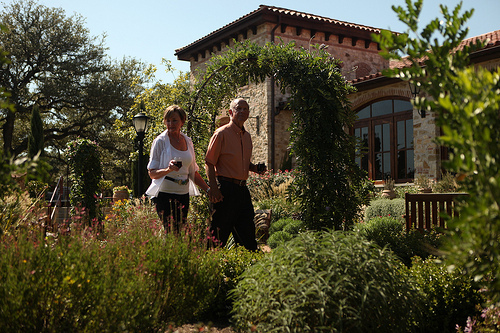 Closer to Austin, Bell Springs Winery and Solaro Estate offer wine tastings and events in Dripping Springs, 40 minutes away from town to the northwest. Every Saturday this November and December, Bell Springs offers live music in the afternoons from local and regional singer / songwriters. Make a day of the excursion by enjoying some of the best BBQ in the region at The Salt Lick or walk around the trails and absorb the natural beauty of Hamilton Pool. Even more wineries call the Hill Country home farther out west on 290 near Fredericksburg. For a full list of wineries in the area, check out this interactive map, which even offers a list of suggested day trips. So whether you want to explore new wines and expand your palette, or if you’d rather pour a glass yourself and cuddle up by the fire (if it ever gets cold enough), wine is in full supply in Central Texas. Cheers! The Salt Lick sits about 15 miles west of Plum Creek, in the small hill country town of Driftwood. It is often referred to as the best BBQ experience in Austin, even though it is not actually in Austin. Food is traditionally served family style, all you can eat, and covered in their signature BBQ sauce. 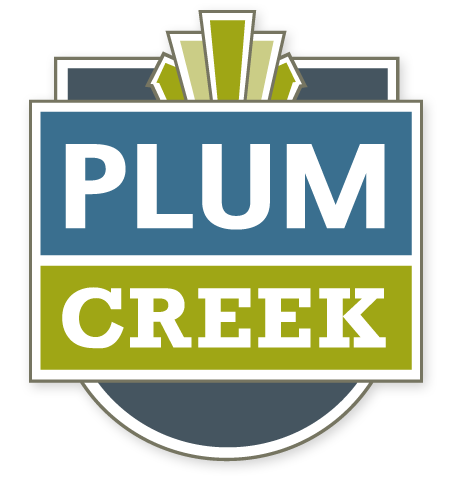 People living in Plum Creek will shave about half of the drive time off of people living in downtown Austin. Nice. Bring cash, it’s all The Salt Lick takes. There’s an ATM if you get in a bind but it’s better to avoid the fee. The Salt Lick is BYOB. If you want to drink, make sure to by stuff before you go, there isn’t much to choose from the closer you get. Bring an appetite. We suggest trying the family style all you can eat your first visit. If you like cobbler, save room for desert. Well, at least try. Bring people. Salt lick is served family style, so bring the family or a large group.